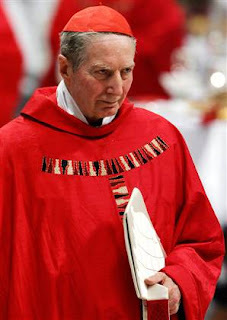 Retired Cardinal Carlo Maria Martini has criticised Pope Benedict's decision to allow greater use of the Latin Mass, saying it is important to have a common language for prayer. Cardinal Martini says he will not celebrate mass in Latin, criticising Pope Benedict's decision to allow for greater use of the old Latin mass. Italian Cardinal Carlo Maria Martini, who has broken with the Vatican on a number of issues, says he considers it important to have a common language for prayer. "A bishop cannot ask his priests to satisfy all individual demands," he said in an article published by l Sole 24 Ore newspaper. The cardinal said he loved the Latin language and would have no trouble celebrating Latin mass. "But I will not do it," he wrote. Cardinal Martini tempered his criticisms by paying homage to "the immense benevolence of the Pope, who wants to allow everyone to praise God with old and new forms," but made clear that he was not on board. The 80-year-old cardinal also defended Vatican II, saying it "took a major step forward in the understanding of the liturgy". Cardinal Martini's comments are interesting in view of what the Pope has allowed of late. 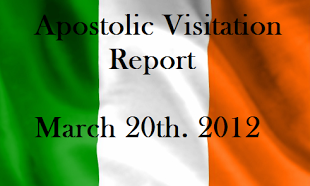 The Latin Mass was never something that the Apostolic Church had or celebrated in the first centuries of its life. Latin is NOT an essential ingredient for the eucharist and ought never be so. There has been untold overemphasis by many priests on the form of the Latin mass, becomming obsessed by the form of vestments, liturgical practice and other elements which are NOT essential. This trivialisation of the Eucharist making it into a show thing, is not good I believe. The cardinal makes a valid point and we ought see that the Mass is the sacrifice of Christ, not a matter of an old dead language being in use. It would be far better if the latinphilos spent more time on preaching the gospel than in checking on their vestments and the size of their thuribles. Substance ahead of flossy and false showmanship that is not gospel-based. I would like to respond to Anonymous who feels that most of those of us that the world labels traditional catholics are self absorbed Robe checkers and Thurible admirers who want to speak a dead language like nerds in Latin club. As a catholic who was born in the 60's and grew up with the Mass of Pope Paul VI, I'm sure that it may seem to everyone that there's a whole lot of hubbub over this Latin thing. The Tridentine Mass is often referred to as the 'Latin Mass', but the fact is that both the Tridentine Mass and the Mass of Pope Paul VI can be called the Latin Mass because both can be said in Latin. I can agree that the early church did not pray the Mass in Latin, but neither did they pray it in English or any other modern language. In fact the first Eucharist was more than likely said in Aramaic - does that mean that we should all pray in ancient Aramaic? For 'traditional' Catholics it is not the Latin language that is the rallying cry for them but the content of the Tridentine Mass. The Tridentine Mass clearly expressed the Sacrificial Character of the Eucharist in its prayers and actions. I also understand that to someone who may not have prayed the Tridentine Mass or read the prayers in the Old Missal, it may seem that the priest is preoccupied with vestments and whether or not the priest's hands are the required 15 inches apart or not. (My exaggeration) Although both the Tridentine Mass and the Mass of Pope Paul VII are valid, they express the Catholic truth of the Eucharist in very different ways. The New Mass stresses the communal aspect of the Mass focusing on the dialogue between the priest and the People as they pray the Mass. the Tridentine Mass allows the priest to efface himself so that Christ may offer sacrifice to the father through him. This can be seen by his actions - he turns to the Tabernacle facing Christ. He draws our attention not to himself but to God. One may think that the Tridentine Mass is full of flossy and false showmanship but the fact is most of what the priest does is hidden from the view of the people so they are focused not on him but on Christ to whom he leads them. In my 20 years as a music minister in the Church I have seen more flossy and false showmanship performed by priests in the Novus Ordo than I have ever seen from a priest saying the Tridentine Mass. The rubrics of the mass simply won't allow it and any good priest knows that it is not he who says the Mass but Christ who says the Mass through him offering the perpetual sacrifice of praise and thanksgiving to God The Father.